Who needs sidekicks like Robin, Nightwing, and Batgirl when you can summon an entire army of winged companions to your aid with just the touch of a button? During a battle with the Gotham City S.W.A.T. team during Frank Miller’s Batman: Year One, Batman activated an ultrasonic bat beacon hidden in his boot. 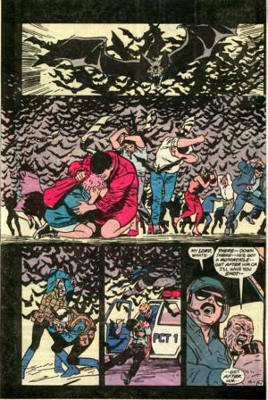 When pressed, the device emitted a sound wave that attracted hundreds of bats from beneath Wayne Manor to his location in order to create a diversion for his escape. This idea was later brought to the big screen in Batman Begins during a similar scene where Batman is escaping from the G.C.P.D. in Arkham Asylum. Both moments were portrayed as happening early in Batman’s career, and afterwards it left the cops, criminals, and civilians of Gotham wondering whether or not there was something supernatural about the Caped Crusader.